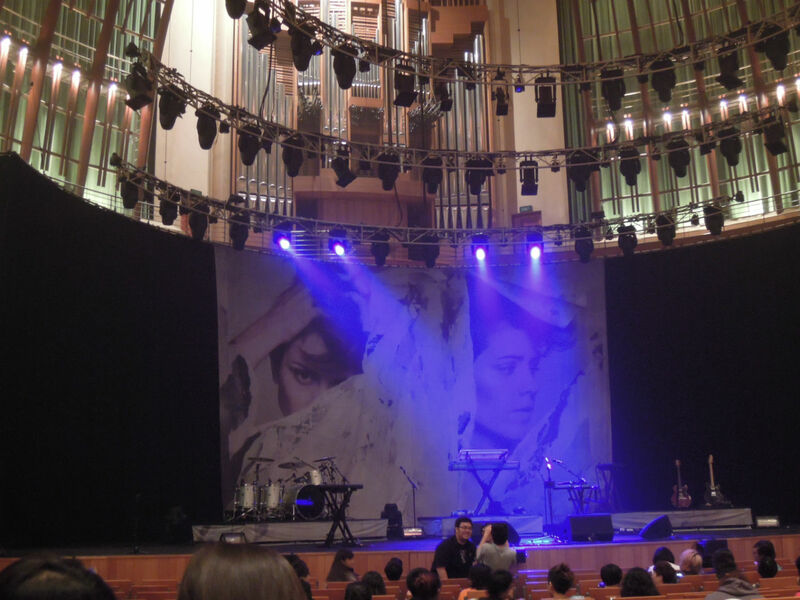 More than a week elapsed since I went to Singapore to watch the Tegan and Sara concert. It’s been years since I first started listening to their songs. In between, nothing much has changed within me as a fan; I just got older and my bones have grown more weary. Here is a simple tale of two fan girls, two performers (plus an opening act), in one venue, for one event. This was only one of a hundred SMS between B, a friend from the U.P. M.A. writing program, and me. We are kindred spirits in more ways than one, and this time, we have found solace in each other as music fans – rabid, addicted, passionate, will-sell-everything-for-music fans. 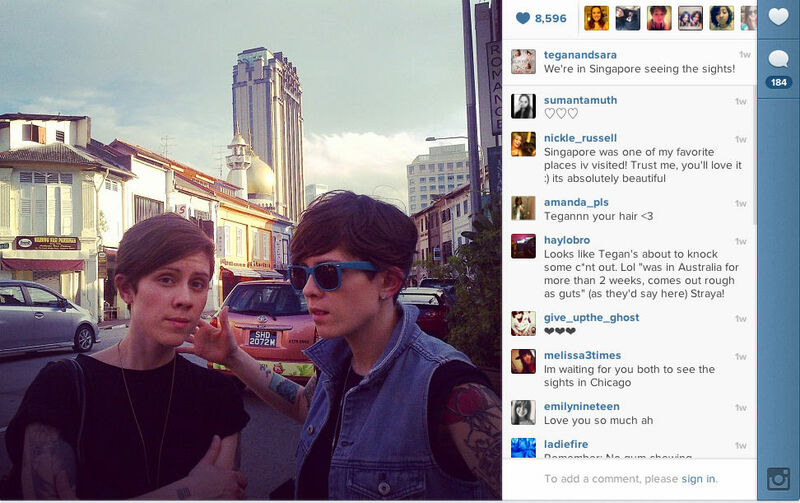 Our first project as music fans was to go to Singapore to see Tegan and Sara (T&S) perform as part of their “Heartthrob” tour. It was fate pulling strings here and there. We realized through tweets that we wanted to see them live, and we were willing to suspend our lives and raid our savings to make this dream a reality. We were also praying to the heavens that the twins play old favorites from past albums as Sainthood, The Con, Under Feet Like Ours, and So Jealous. We were creating playlists in our heads that included Arrow; My Number; Walking with a Ghost; Where Does the Good Go; Monday Monday Monday; Nineteen; Beauty; I Know I Know I Know, among other fascinating past pieces. 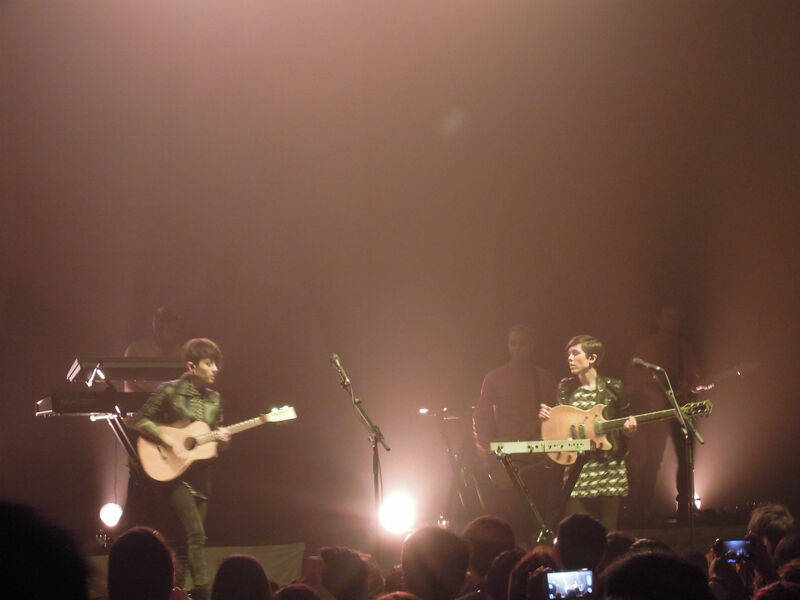 Heartthrob has its merits, and it helped propel Tegan and Sara to fame after it gathered support from ‘mainstream’ listeners. My favorites are Shock to Your System and I Couldn’t Be Your Friend. Yes, Heartthrob is a different facet of the twins’ musicality. But I remained sulking in a corner. I was looking for the old spice, the old indie sound and kick they had, the heft and the weight of their riffs and pounding percussions. Heartthrob had splices of it here and there (such as Shock to Your System), but I was hungry for more. After a two-month preparation, we found ourselves bleary-eyed yet eager to fly to Singapore. Note that only Sara Quin can rouse us very early on a Sunday morning for us to make it to our flight. Our plane even experienced a two-hour flight delay. We waited for two months, what more can two hours of delay do to us? Well, it made us crankier, and it made us more impatient. It made us thank the heavens for our decision to fly in a day earlier. True to my personality, our conversations swung from mania to somber realizations. We shared our Tegan- and Sara-related fantasies, we repeated conversations that once enthralled us on Twitter, we fielded wisecracks to the tune of T&S songs, we swapped our two-cents about previous albums, we planned on how we can snag a few seconds with Sara, and we spun ways how to kidnap her. 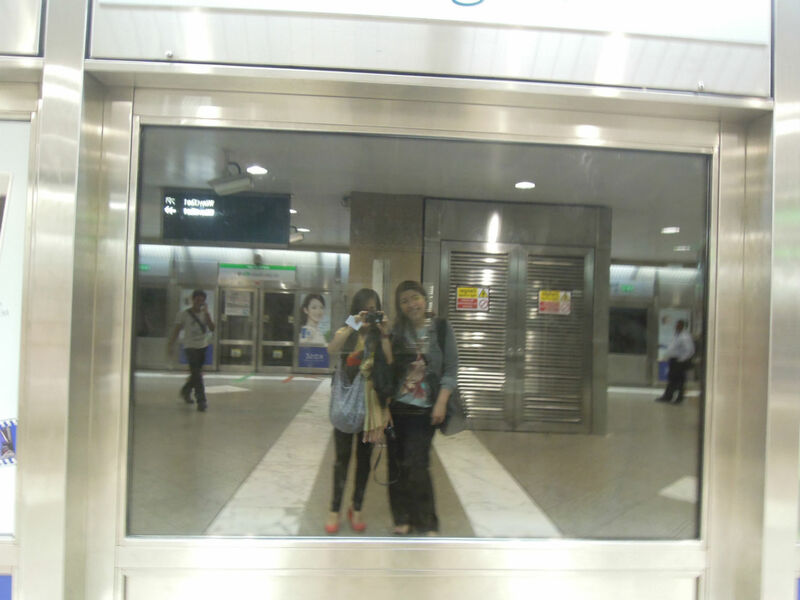 And we realized we are snobs. Snobs against fairly new T&S fans, snobs against people who only want them for their looks and for their vibe, snobs against what we termed pretentious people for liking T&S because it’s the in thing (and because they enjoyed the music video of Closer). My words about this group were vile and venomous so they will not see the light of day here. 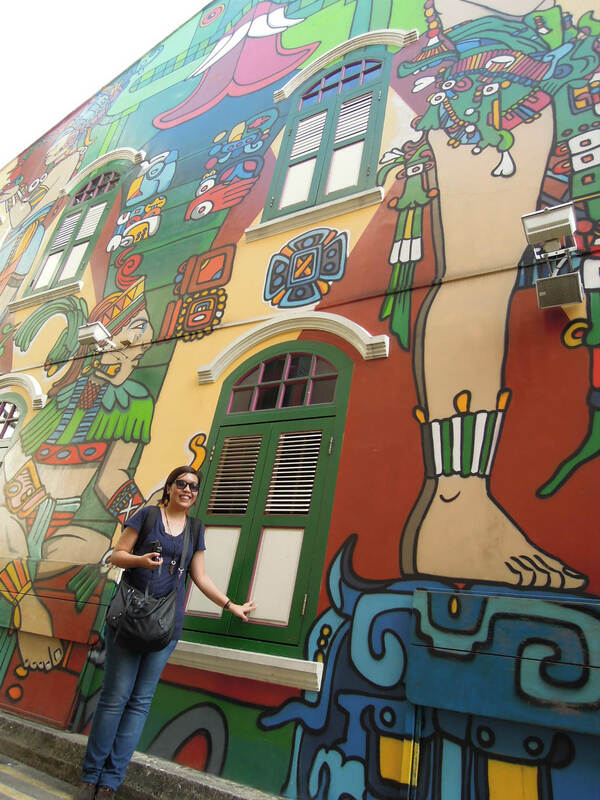 The night before our flight, another friend suggested places for me to visit in Singapore. She didn’t think that we’d find ourselves lost in searching for our lodge. She didn’t think twice about sending me a list of things to see when all I wanted was to visit Kinokuniya, a couple of museums/art galleries, Little India, and Esplanade for the concert proper. 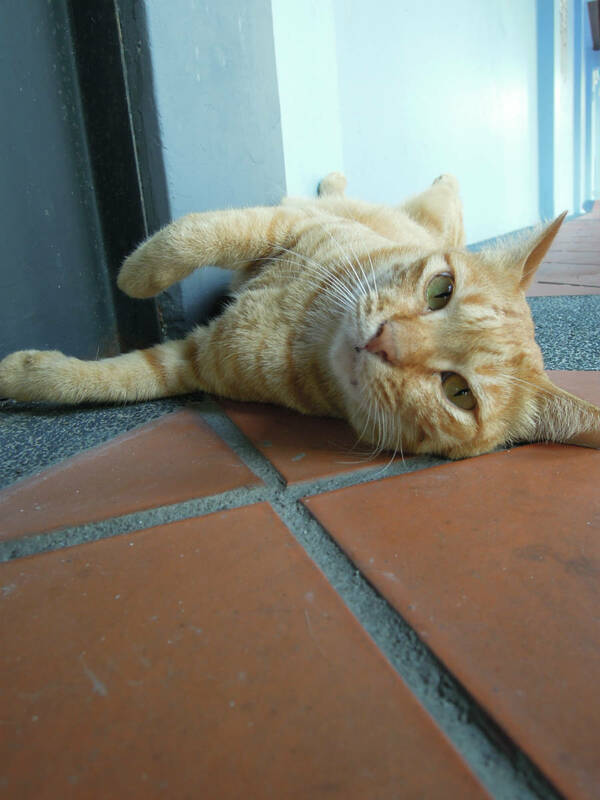 Marina Bay Sands, the Lion, Clark Quay, these are all places I never bothered seeing. I was there for one purpose alone, and all other tasks and places paled in comparison. We were doing our own William Miller tale-tripping and music hopping, and distractions would only lessen our time spent with our idols. 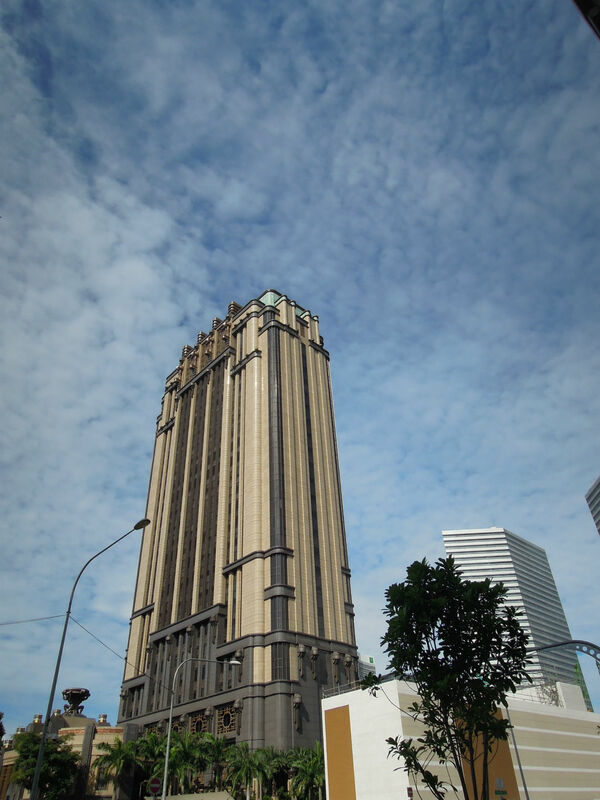 As we went around looking for our hotel, we took photos of an art deco building and a mosque in a strip that housed Middle Eastern restaurants. Bookmark this building and this mosque, this will figure in wildly in our story later. 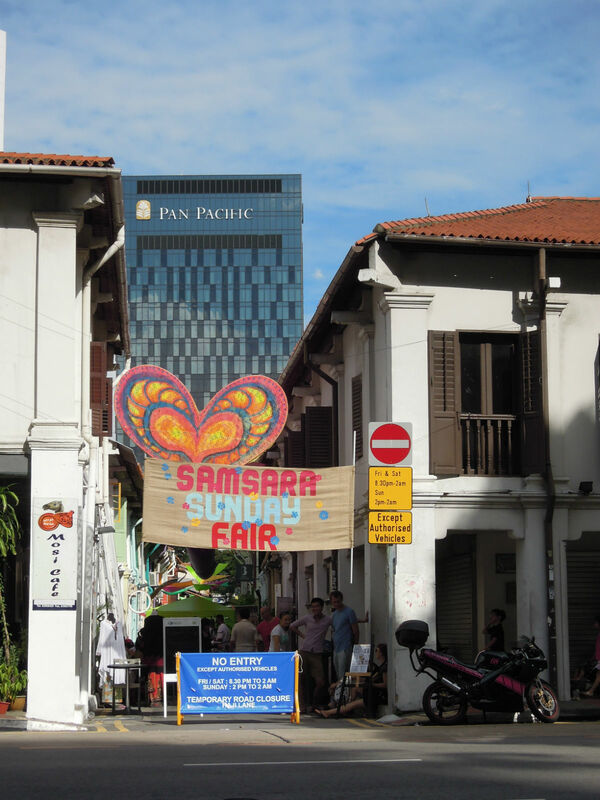 We chanced upon a fair called Samsara Sunday Fair Festival but opted not to attend. After an hour of leisurely search, we found a restaurant that had amazing artwork on its facade. We realized we were right smack in the thick of things in the Samsara Garden Fair. The long and short of our search: We found our inn, checked in, settled in, grabbed dinner, found ourselves inspired by street fashion, and tucked ourselves in. Monday morning and afternoon were uneventful in terms of sightseeing. We did our due diligence: We fed ourselves, we tidied up, we picked up items for people back home to tinker with, and we earmarked shops we intend to visit once we return to Singapore with more cash on hand. All throughout this time, we were noisy and frightened and eager and excited for 7pm to roll in. We were again oscillating between excitement and dread: excitement because we are both Sara fanatics and dread because the anticipation and long wait have been addicting, and after the concert, we feared that nothing and no one else can make us this giddy and elated. Here’s a sample of our conversation. This one happened after we saw a photo of the twins taken at 4am based on the caption. B: Oh my god, we think like them. E: Wavelength! Sara is not a morning person like us! B: What if they’re also in the area [meaning airport] while we’re here? E: Oh my goodness, that’s definitely a medic moment! 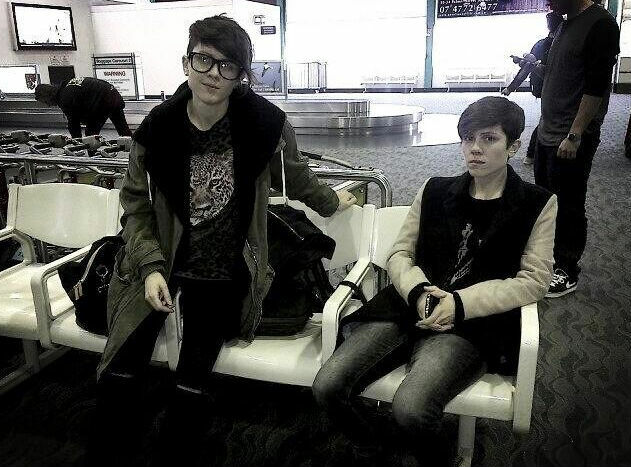 K: Were you one of the people who waited for Tegan and Sara and who brought food? E: If I knew about it, I would be there most likely. 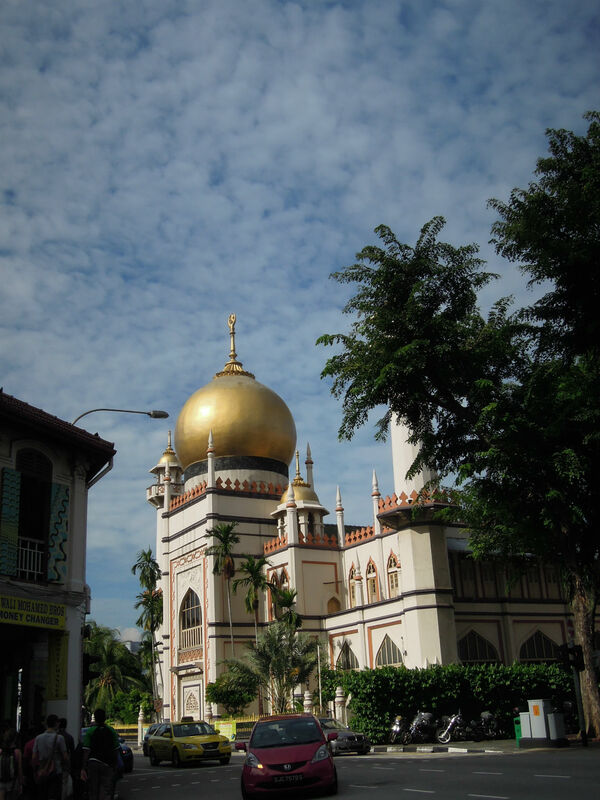 At one point, they posted a photo with a background of an art deco building and a mosque. These were the same buildings that enthralled B and me! We were in the area at about the same time they checked out the street! Wavelength! We were at the receiving area of Esplanade at around 3pm for the 7:30pm concert. And how did we kill time? 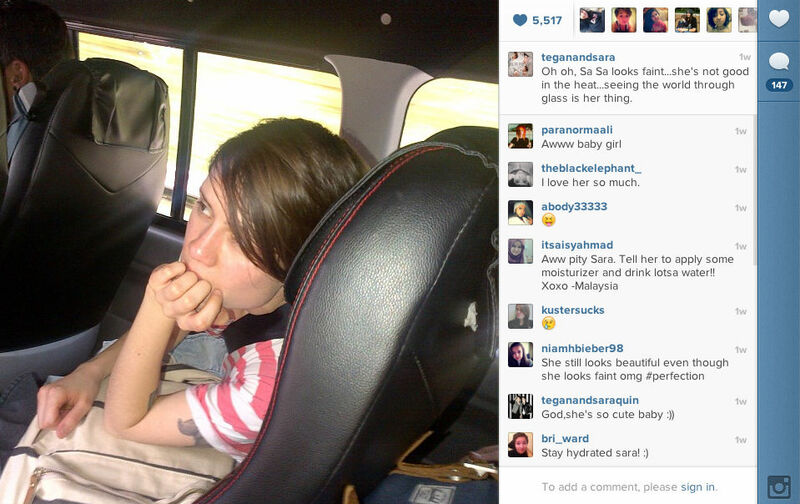 We made handwritten notes for Tegan and for Sara. We bought pretty envelopes, and I tried designing loopy and comic letters on the envelopes for our notes to stand out. We noticed a delegation of young Filipinos in one corner, and B told me these were the Facebook group members she was in touch with back in the Philippines. A couple of familiar faces, some photos here and there, and some gaggling happened with the FB group convincing a T&S crew member to meet the group. They had presents for Tegan and Sara from journals, letters to t-shirts. B and I followed them, and we were able to include our letters in the stash for the twins. The crew member named Jeremy was gracious and promised to give the loot to the twins, and he was happy to get a free shirt from the FB group. Once inside the waiting area proper of Esplanade, I elbowed my way among a throng in front of the merchandise stand. B and I finally had what we wanted from the merch stand: T-shirts! An hour of waiting can deaden yet heighten your senses. Here’s an aside: I was expecting a lot of cute faces in the crowd. I guess my age and my weariness have caught up with me. Among hundreds of people, I was only able to find one who was cute. B and I agreed that we would always find time to attend T&S concerts especially when they’re slated to perform in Asia. B: You know, I was serious when I said I’d follow them to Jakarta if I had enough money. E: Me, too; if I had funds, we would have headed straight to Jakarta! Weish was the opening act. She is a tiny dynamo who did vocal loops a la Imogen Heap and who breathed out words and melody as if she were a pocket version of Bjork. My admiration toward the twins deepened even more. I knew it was their choice to have Weish perform. I imagined they saw themselves in Weish — feisty, independent, and hungry to share her music to the world. This was how they were when they were starting. Their lyrics in their first studio album, This Business of Art, were biting and feral, and their sound architectured their riffs and percussions as if these were towers of steel and glass. True enough, Weish thanked them after her performance, saying she was grateful to the twins for having her as their personal choice to open the show. And when they finally finally finally opened their Singapore concert, I rushed closer to the stage (we were in the V.I.P. area) while bawling and crying. I couldn’t help myself. I think that was the closest I could get to experiencing a purely spiritual moment inspired by fellow mortals. They opened with Drove Me Wild that was very apt. I was bawling as I said, and B was beside me in tears, too. At that moment, I was thankful for having someone like her in my life. Time and time again during our concert trip preparations, we’ve been thankful for each other’s presence because we alone understand each other in terms of our T&S mania and our love for music in general. But at that moment when I glanced at her, I was happy to be with her in a concert hall with a state of the art sound system. 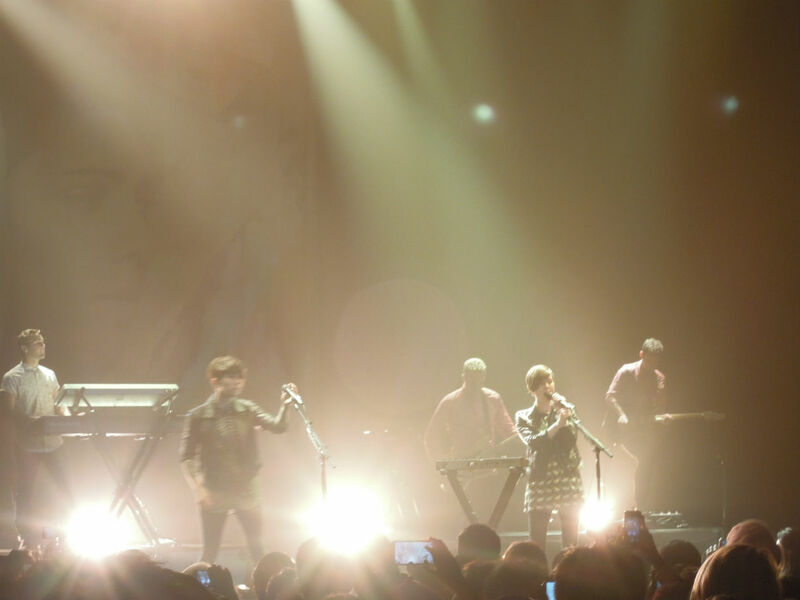 Finally, Tegan, Sara, and I were in one place. Not just in one city as tiny as Singapore, but in one place sharing music. It couldn’t get any better than this. Their spiels were sincere and very friendly, and they even acknowledged those people not based in Singapore who flew in to see them. I think our loot bags did wonders. In her spiel, Sara promised to tour Asia again in a year’s time. That was how much they enjoyed the Singapore concert. 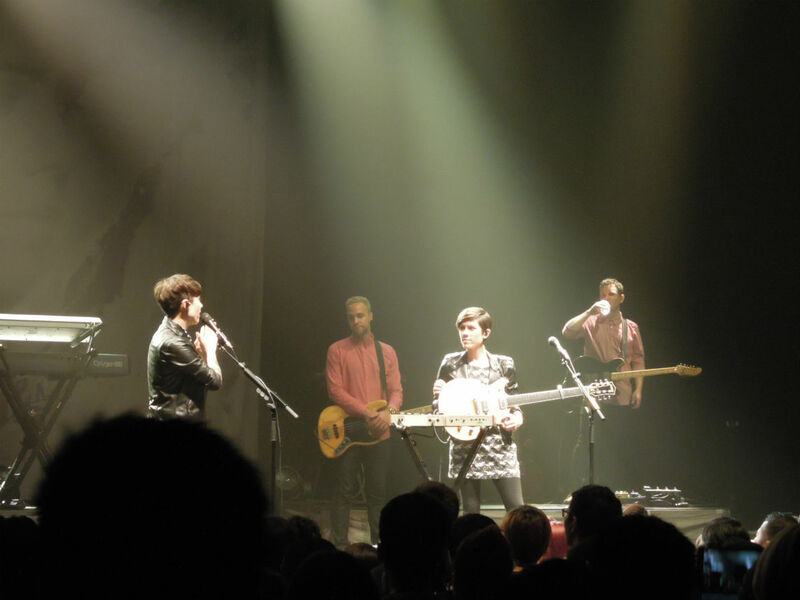 They shared anecdotes (way to go, Tegan, for your memory and your comic timing), and they interacted with the crowd. When they sang the line “You should be out driving people mad,” I recalled someone. When they belted out “Walking with a Ghost,” I remembered the times I spent in my old apartment singing at the top of my voice songs that included T&S’s while taking a bath. When they sang “How Come You Don’t Want Me,” I wanted to hug B. When they sang “I couldn’t Be Your Friend,” I was traipsing in my place. When they performed “Shock to Your System,” I was over the moon. When Sara belted out the lines, “What you are is lonely” several times, I wanted to hug her. When they performed “Hop a Plane,” I was giddy and thirsty for more. When they sang “Alligator,” I wanted to do the dance steps that they did in their music video, but I was taking photos and recording, and no one wants shaky clips. 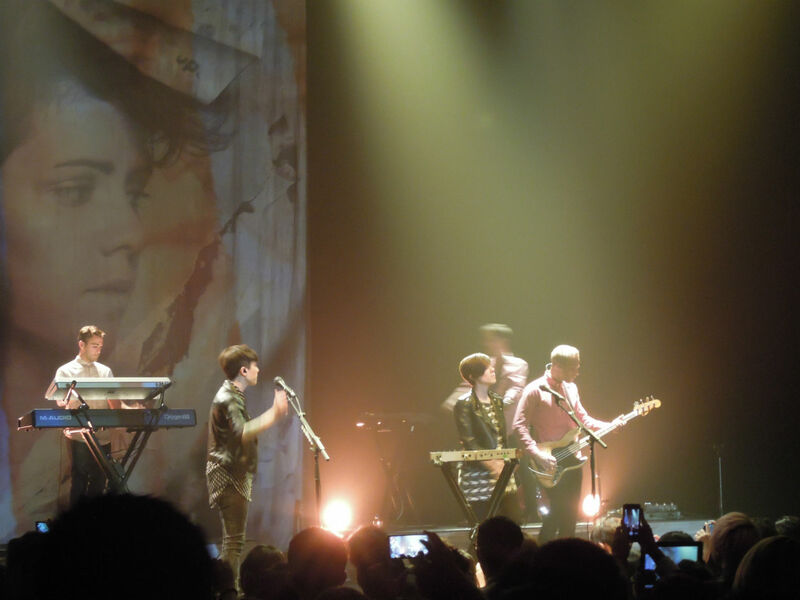 When Tegan held her ground while singing “Nineteen” (this song leaves me breathless, too), I wondered what and who made them write this song. When they sang “Arrow,” I cried again. When I caught lines from “On Directing” in their medley, I was overwhelmed for the nth time. When they closed the show with “Feel It in My Bones,” I felt everything in my bones: the fatigue, the dying excitement, the lingering fear, the giddiness, the headiness, the deep hunger, the dread of flying back to Manila and not finding them anywhere. We waited for their vehicle to pass by at the parking lot. After a long wait, a van drove by and Sara slid the window open and waved to us. The van sped by and only stopped for five seconds when a fan tapped on it and sort of body blocked it. And it was then that B had her moment. I know it’s not my place to share this, and I’m not claiming this as my divine moment. I am just over the moon for B. She bolted past all of us slowpokes and managed to touch Sara’s hand for a few seconds. Sara, according to B, kept on saying, Sorry, sorry, sorry! I have a photo of her moment. 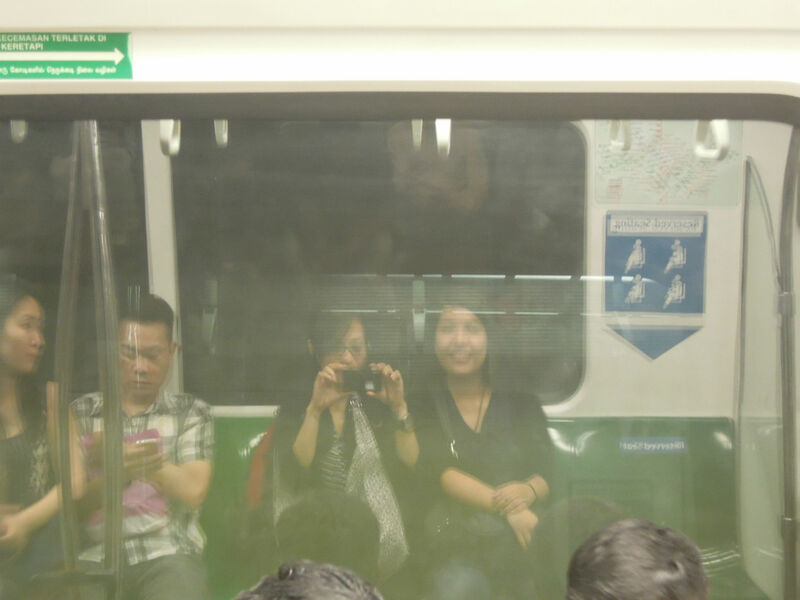 The shot was a blur just like our entire Singapore experience. 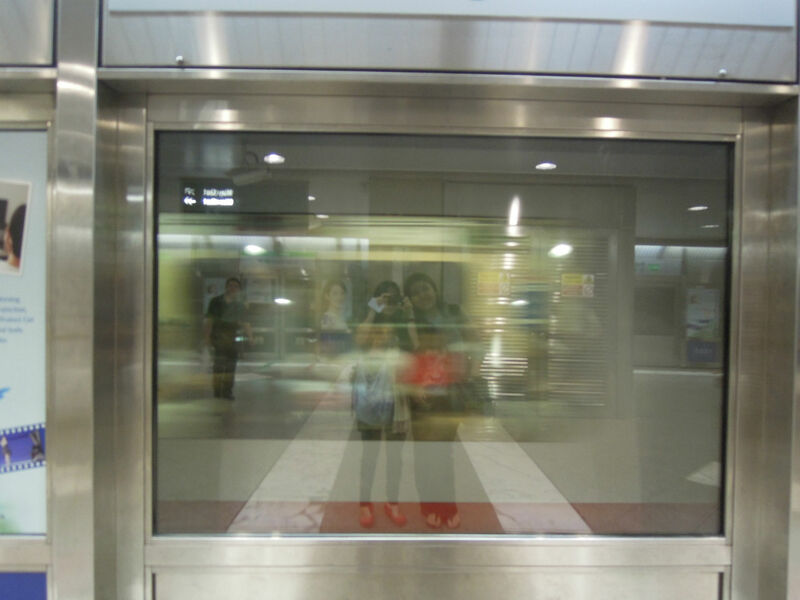 It was all a quicksilver blur, but somehow, everything made sense. B and I agreed that our lives as pure fans in Singapore were similar slightly with the adventures of William Miller, the journalist-fanboy in Almost Famous. 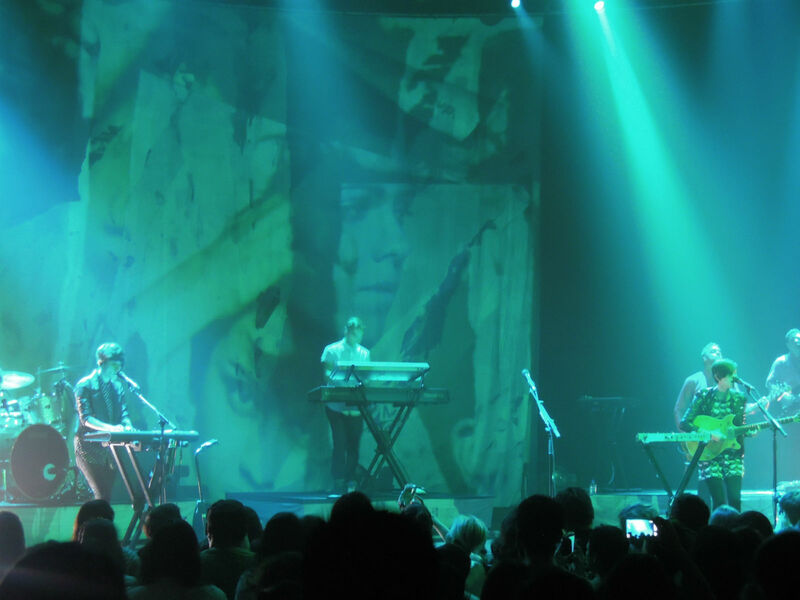 As such, we swore to follow Tegan and Sara in every concert they will hold in Asia and if possible in other parts of the world. I have been a groupie of other artists in past years. Yes, I am guilty and proud of this. I was a groupie of Barbie Almalbis especially during her Hungry Young Poets’ days and a perpetual groupie of Cynthia Alexander since 1999. To follow T&S in their tours is a piece of cake. With B a.k.a Miller by my side (I called dibs on Will), that will surely be one sweet ride. Things went by so fast. We were caught in the blur and refused to let go.